Indonesia is facing a flood of false information and hate speech on social media. Some of it is spread by groups that hide their political objectives behind matters of religion. In the past two years, police have arrested members of two groups, Saracen and Muslim Cyber Army (MCA), who were allegedly spreading false news and hate speech. Authorities claimed that Saracen was working on the orders of certain parties to attack their political opponents in return for money, while the MCA spread false news and hate speech to weaken the government. Some Saracens have been tried. Meanwhile, police have arrested 14 members of the MCA, who were connected through a WhatsApp group called The Family MCA, and are still investigating the mastermind behind it. On Facebook, several groups associated with the MCA can be found, but it is the MCA News that has the highest number of members, more than 300,000. “Cyber jihadist” Muhammad Yusril told The Globe Post he had about 300 Facebook accounts to “destroy the religious blasphemers and the government.” He operates under a pseudonym and is also a member of the MCA News. Yusril has been a member of the group since it was formed in 2008. In the beginning, “cyber jihadists” focused on fighting against accounts that they deemed blasphemous, including those with drawings and jokes insulting Islamic scholars and teachings. “But the MCA became well known after the Ahok case,” Yusril said. The Ahok’s case is a legal process involving former Jakarta Governor Basuki Tjahaya “Ahok” Purnama, a Christian from the Chinese ethnic minority, who was accused of insulting Islam in a speech in 2016. 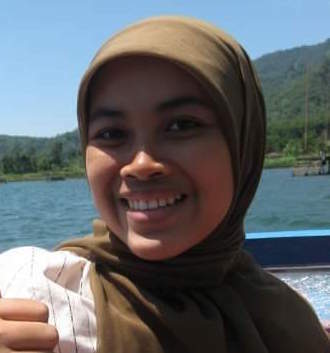 The case sparked outrage among Indonesia’s conservative Muslims, which led to a series of demonstrations on the streets of the capital and cyber war on social media. After the incident, Ahok lost the Jakarta governor election in 2017 and was sentenced to 2.5 years in prison. The majority of Indonesians are moderate Muslims, but the pluralistic tradition in the world’s largest Muslim population is now threatened by the growing number of extremist groups. Yusril said the MCA is still waging cyber war by taking over accounts of “Islam blasphemers” and reporting them to Facebook in order to be suspended. He said his group has a software, which keeps the account alive and allows them to continue destroying and seizing accounts of others. “We have many accounts, depending on how many accounts we have seized,” he said. “I work as a ‘cyber freelancer,’ but the target can be taken from the group,” he said. Yusril noted that there is no leadership system in the MCA because it is a movement, and its members move on their own accord, without any payment. Yet, Yusril’s claims that the MCA is simply defending religion are hard to prove. Over a month, The Globe Post followed the MCA News, and the majority of its member share videos, photos, news, and statements that contain hate speech against the Indonesian government, especially President Joko Widodo. At the same time, it showed great support for opposition groups such as Gerindra Party, Prosperous Justice Party, and several conservative scholars. Even so, police have not found evidence that certain political parties and figures were behind the MCA. Some other members of the MCA told The Globe Post that they were acting upon clerics’ commands and under the orders of the leader of the Islamic Defenders’ Front (FPI) Habib Rizieq Shihab in particular, who have urged Muslims to unite and engage in cyber war. In a posting on the MCA group, Eyandilia shared a link titled “Barisan emak-emak militan luncurkan grup whatsapp #2019gantipresiden” (A line of women-militants launches #2019changepresident WhatsApp group), which was greeted enthusiastically by other MCA members in the comment section. When asked about her role in the group, Eyandilia said she was merely promoting it and was not yet a member. 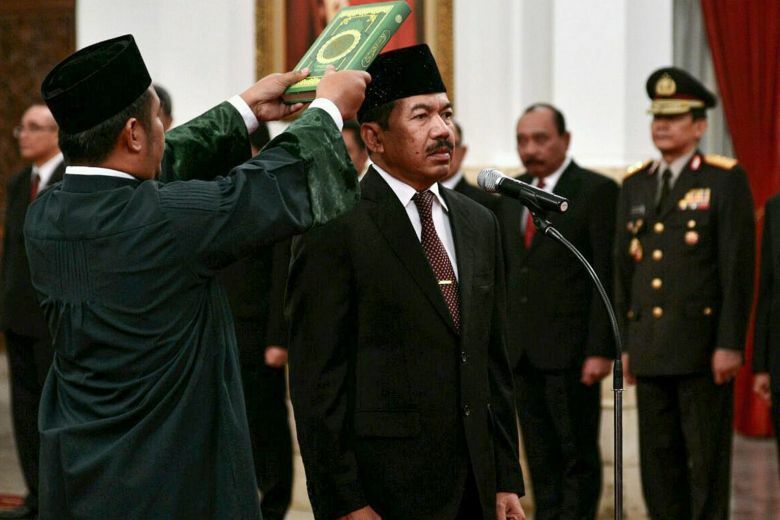 Over the past few weeks, MCA members campaigned for the hashtag #2019gantipresiden (#2019changepresident) to express their desire for President Joko Widodo not to be re-elected in 2019. While the MCA has no organizational structure, the roles of the group’s administrators on Facebook are significant, including directing members to report accounts of opponents, filtering incoming uploads in the group to comply with MCA’s policies, and setting rules for interacting on social media. In various announcements on the MCA group, the administrators also directed members to have the same political stance, especially when it comes to choosing the leader in the elections. Members are also advised to operate using anonymous and false accounts when criticizing the government. When 14 MCA members were arrested in January, police accused them of spreading news and hate speech to inflame religious and ethnic schisms; fan paranoia around gay men and lesbians, alleged communists and Chinese people; and spread defamatory content to undermine the president. They were also accused of reporting accounts and sending viruses to damage opponents’ electronic devices. Yusril denied the MCA was spreading the fake news. One of the issues that the MCA propagated was about dozens of cases of preachers’ assaults, which the police found unproven. Instead of defending religion, their motive is driven by politics. “Based on our investigations, from monitoring social media, we see their motives are more [related] to politics,” Head of Nusantara Task Force Inspector General Gatot Eddy Pramono said in a statement. The Nusantara Task Force was launched in early 2018 by the government to cool down the political tensions ahead of the local and presidential elections, including countering fake news and hate speech. Gatot said the growth of the problem could spread fear and panic in the community, creating an impression that authorities have failed to provide security. “This is able to divide the nation and lead to great social conflict,” he added. National Police Cyber Crime Director Brigadier General Fadil Imran told The Globe Post that based on a police investigation, the majority of fake news and hate speech were spread by fake or duplicate accounts on social media. Facebook defines a duplicate account as one that a user maintains in addition to his or her principal account. Meanwhile, false accounts are divided into two categories: user-misclassified accounts, where users have created personal profiles for a business, organization, or a non-human, such as a pet; and undesirable accounts, which are intentionally made to commit rule violations, such as spamming. “It is true that the spreading of false news cannot be separated from many social media users who use fake or anonymous accounts,” Imran said. He noted that the number of false accounts in Indonesia has increased ahead of local and presidential elections. “Social media is considered to be one of the instruments to bring down political opponents by spreading false information, slander, black campaign,” Imran added. Based on Facebook’s financial report for the fourth quarter of 2017, it is estimated that the number of duplicate accounts on its network reaches about 10 percent of the total monthly active users. Meanwhile, the number of false accounts is estimated at around 3 to 4 percent. In other words, since the number of Facebook’s monthly active users has passed the two billion mark, the number of duplicate accounts has reached 200 million, and false accounts stand at 60 million. As of January 2018, the number of Facebook’s monthly active users in Indonesia itself has reached 130 million, equal to Brazil, but less than in the United States.